A Rather Thorough History of Zippers « Adafruit Industries – Makers, hackers, artists, designers and engineers! Who knew zippers could be so fascinating? They’re on your pants, your suitcase, your sleeping bag, your dress. Depending on what you’re into, they may be on your spacesuit, firefighter suit, fish nets (and maybe even fishnets! ), or bagpipes. The almighty zipper is one of those peculiarly ubiquitous items that is easy to miss, so perhaps it’s surprising to hear that—as Edwin Jiang explains at Business of Fashion—the humble fastener is the centerpiece of a billion-dollar arms race. 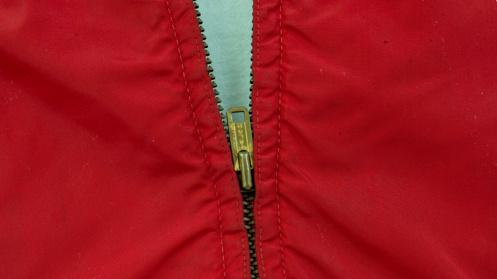 For decades, the zipper biz was dominated by one company. Japan’s YKK makes half of the world’s zippers—about 7 billion every year. And yet, competition is stiffening. China’s SBS, founded in 1984 and a relative zipper whippersnapper (say that five times fast), is winning over big clients like North Face, Target, and H&M. Let’s pull the zipper down on the industry that keeps us all securely fastened.